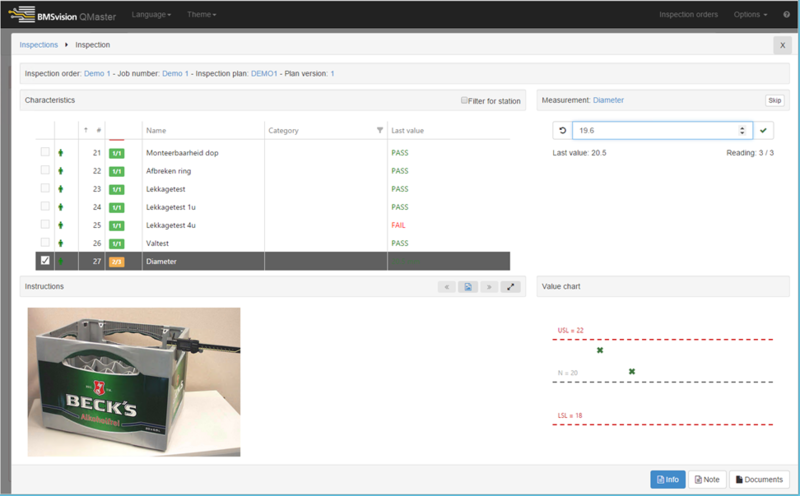 The QMaster module keeps your process within the specifications required for optimum product quality and generates the documentation your customers demand for their quality assurance programs. For every product, the quality manager defines the quality and process control plan including the parameters to be monitored, the sampling strategy as well as the calculations to be used. 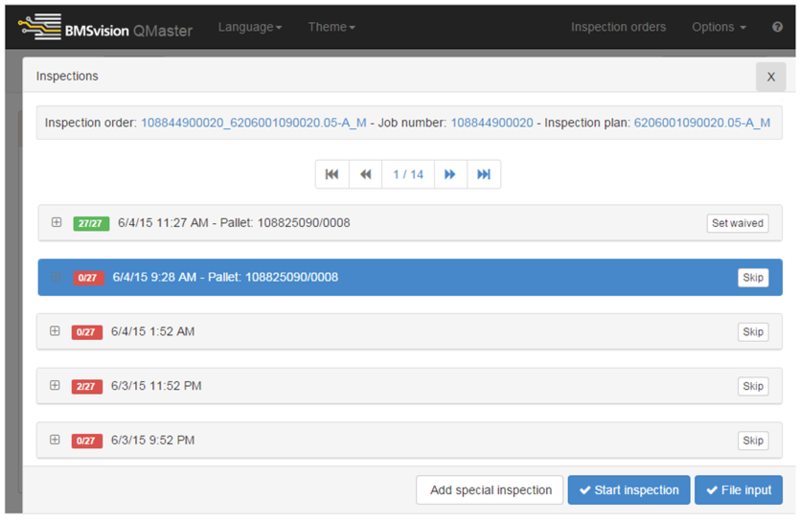 A link with the PlantMaster scheduling software assures an automatic generation of inspection orders at the start of each production order. 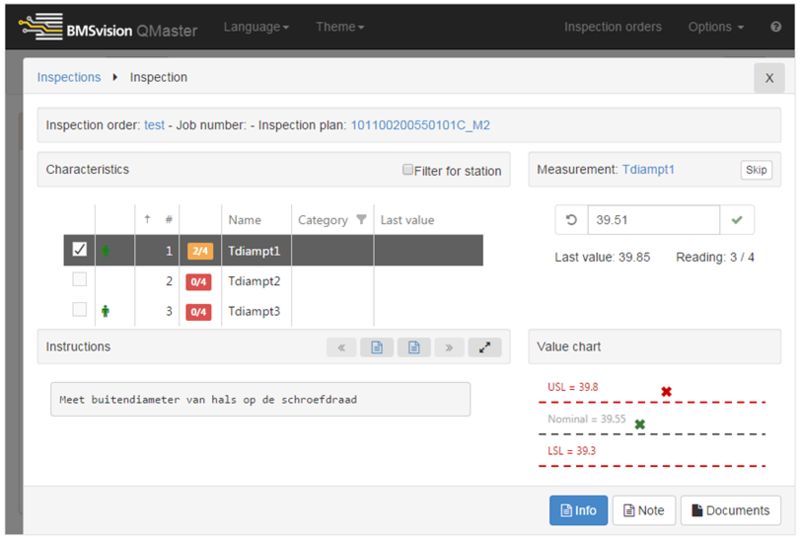 Production orders for which the quality checks are overdue are automatically highlighted by the system. 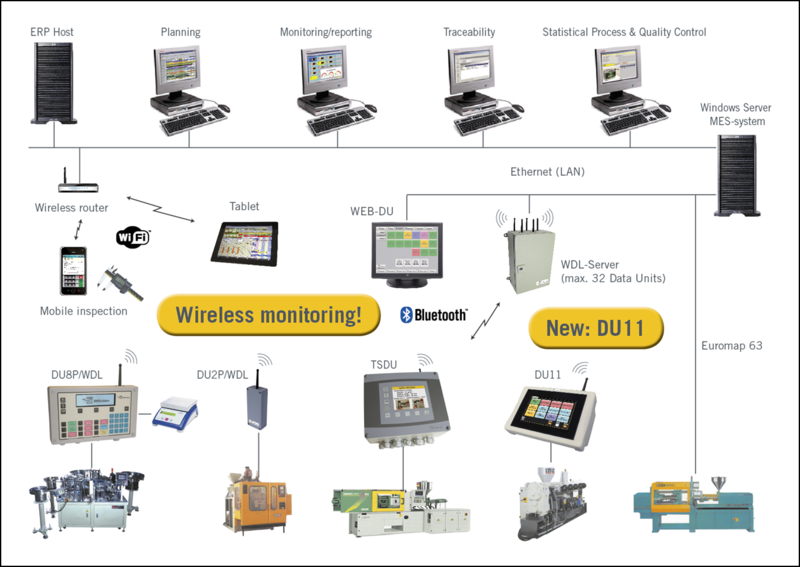 Process parameters are collected automatically using the data units at the machines (serial or Ethernet interface with the machine controller or analog inputs) while part related data is sampled directly from measurement devices such as scales and calipers or entered manually through an input program on a PC or a mobile device, such as a tablet or smartphone. 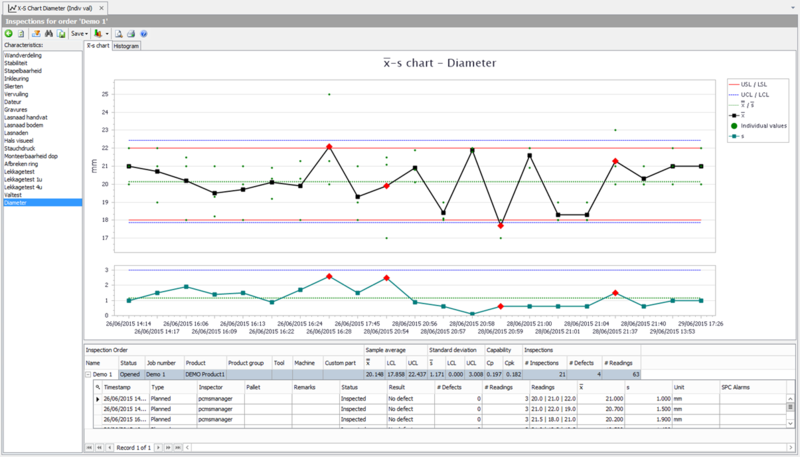 The QMaster module offers an extensive set of reporting tools: control charts for variables and attributes, histograms and process capability calculations. For variables, the user can select from X-R, X-S and individual values charts. P, NP as well as pareto charts are available for attributes. The system automatically calculates alarm and warning limits.